May 14th, 2018 - Neck Deep kicked off 2018 with 71 shows in 89 days across 14 countries, but somehow, they have more to come! The band will be heading back to the United States for Part 2 of The Peace and The Panic Tour this Fall! With support from Trophy Eyes, Stand Atlantic, WSTR and Gardenside, this tour will be kicking off in Santa Cruz, CA on September 6th and hitting cities across the country before wrapping back in San Diego, CA on October 13th. Fans that may not have had a chance to check out the band's headliner earlier this year should get tickets quickly, as many previous dates sold out. General On-Sale begins Friday, May 18th at 10:00am Local with various pre-sale opportunities happening throughout the week. Neck Deep's successful World Tour is celebrating their recently released album, The Peace and The Panic. The 11-track album, produced by Mike Green (Pierce The Veil, Paramore), is a meditation on the constant duality of life and the struggles that come with it. The album has already been garnering incredible praise with outlets like like Nylon, Billboard, New Noise Magazine, Kerrang, Rocksound and more. The album debuted at #2 on the Billboard Top Albums Charts, along with #4 on the Top 200, #1 Physical and Internet Albums, #2 Rock, Vinyl, Alternative and Independent Albums and #3 Digital Albums in the United States. 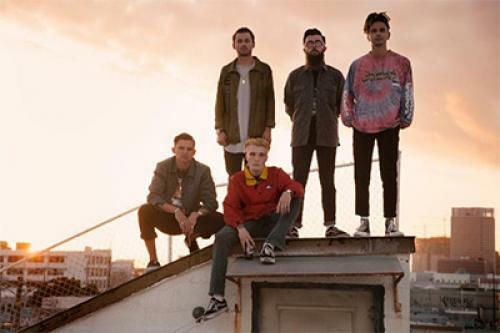 Neck Deep recently made their US Late Night TV debut with epic performances of "In Bloom", "Where Do We Go When We Go", "Parachute" and "Wish You Were Here" on Last Call with Carson Daly. The sold-out show at The Fonda Theatre in Hollywood, CA was captured on the last date of the band's North American leg of The Peace and The Panic World Tour earlier this year. The recently released music video for "Parachute" joins an impressive library of music videos from this release including first singles "Happy Judgement Day" and "Where Do We Go When We Go," the "day-in-the-life" video for "Motion Sickness" and the sensational "In Bloom."